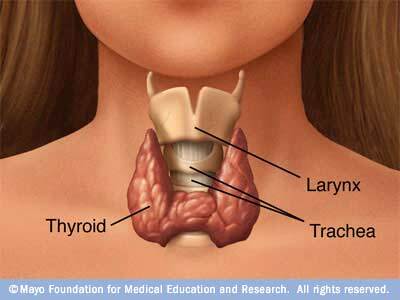 January is Thyroid Disease Awareness Month in the USA. Even though I live in the UK I’ve decided to join in with the campaign turn social media blue because thyroid conditions are often overlooked, poorly understood and under-treated no matter where you live in the world. Since changing my profile picture on Facebook and Twitter to the below graphic I’ve had no less than four friends in different countries tell me that the information I’ve been posting has opened their eyes to the realization that they too might have an issue with their thyroid. This is awareness in action and I wish them luck with their quests. It’s the start of a long winding road to understanding the condition and how best to treat it. Thyroid hormone directly acts on the brain, the G.I. tract, the cardiovascular system, bone metabolism, red blood cell metabolism, gall bladder and liver function, steroid hormone production, glucose metabolism, lipid and cholesterol metabolism, protein metabolism and body temperature regulation. This gland is highly important as it regulates so many functions of our body and when it goes wrong boy do you know about it! You might not realize that a faulty thyroid is the cause of your problems as most medical professionals base their diagnosis on a very basic TSH (Thyroid Stimulating Hormone) level blood test. Whilst this can diagnose some people it should not be the only test performed as the levels of Free T3, Free T4 and Reverse T3 all have an impact on how effectively the gland is able to work. 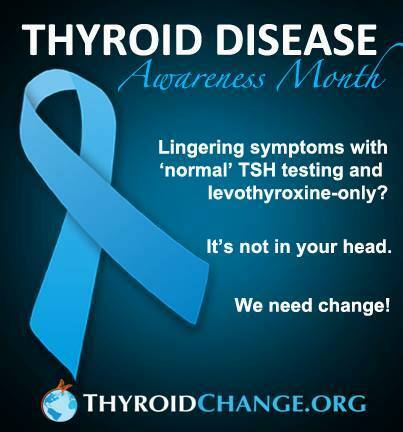 A great post from Thyroid UK explains exactly why the extra tests are necessary. The Free T3 is particularly important as this is the active hormone that is created by conversion of the T4 hormone. Some patients have issues with this conversion which causes them to remain ill despite treatment with the synthetic T4 hormone (thyroxine). Personally I do not have issues with conversion but I do have issues with vitamin deficiencies (specifically Iron and Vitamin D). Getting your vitamin levels checked and supplemented is important too as if any are deficient then the medication given to you to treat your thyroid will not work correctly. You may be wondering how I know about the challenges of this illness and what gives me the right to judge the way that the medical profession handles it. So let me tell you my story and then you might begin to understand. 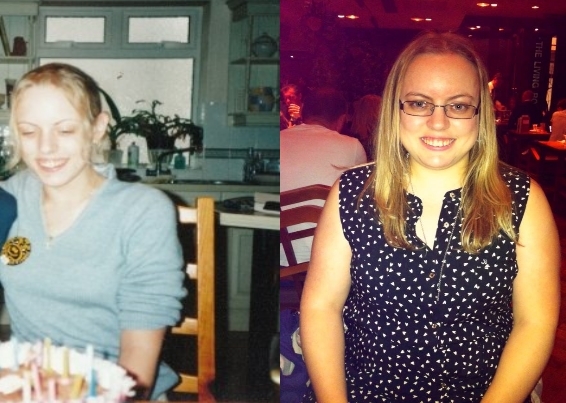 I’m now in my early 30’s but I’ve been living with a malfunctioning thyroid gland since my mid-teens. My late paternal grandmother had issues with her thyroid in her latter years and this was put down to a consequence of her being an elderly woman. I sincerely believe that kind of dismissive attitude is dangerous and I’m astounded that the link was never made between her thyroid condition and the development of her dementia as well as to the problems I experienced in my teens. 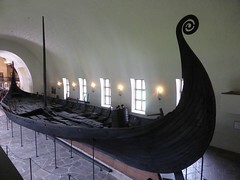 I think that this condition has strong hereditary links that must not be ignored. If the disease runs in your family you must make it your responsibility to be aware of the symptoms of both crazy Hyperthyroidism (Overactive Thyroid) and it’s slower opposite cousin Hypothyroidism (Underactive Thyroid). From the age of 14 when my menstrual cycle began my body began to act strangely. I was constantly hungry and ate anything I could get my hands on and yet perversely I seemed to keep loosing weight. Whilst this might sound fabulous to anyone longing to be thinner I can assure you it was not. I also suffered from dizzy spells, racing thoughts, heart palpitations and fast speech. Extremes of temperature made me feel nauseous (and still do) and friends voiced their worries that I had developed an eating disorder. I had not of course. I simply had no idea why I kept losing weight. My parents were at a loss as to what was wrong with me and encouraged me to go to the doctor. At 16 I made an appointment with a locum doctor (our family one wasn’t available) to discuss it only to be told that it was probably “Gravity affecting your age”. I wish that was a joke. Sadly it was not. I was not offered any further tests. The locum doctor probably assumed I was a teenage hypochondriac. What I actually was is a naive and trusting youngster who would never have thought to question the wisdom of a medical professional. I left school with average GCSE results and began my A-levels at sixth form college. By this stage my concentration and energy levels were beginning to take a pummeling. My thoughts were racing at a hundred miles a minute and yet my energy levels were plummeting no matter how much or how often I ate or slept. My eyes had also begun to bulge out of their sockets and were often dry and irritated. At the time I put this down to the contact lenses I wore, unaware that it is one of the most obvious signs of Hyperthyroidism. I managed to somehow pass my first year of A-Levels but the second year, when I was 18, would be the year when it became clear something was seriously was wrong. My energy levels became so poor that I started to fall asleep during my classes and yet I could not sleep at night due to the racing thoughts and pounding heart palpitations. 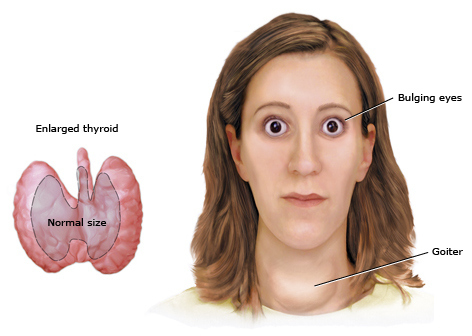 I did not know it at the time but I was experiencing a Thyroid Storm. The disease had gone undiagnosed for so long that I was in real danger of having a heart attack. The college contacted my parents concerned about my behaviour. A conclusion was jumped to that perhaps I was taking recreational drugs. This assumption upset me as I am and have always been very anti-drugs. I walked out of the house in tears and kept walking until my Dad came after me. I honestly thought I was starting to lose my mind. However I am lucky that my parents love me very much and they decided to take me back to the doctor for a second time and vowed not to leave without a diagnosis. This time my symptoms were so pronounced that our family GP diagnosed me on the spot. I remember her words “If that isn’t hyperthyroidism I’ll eat my hat!”. She didn’t have to eat anything. I will be forever grateful to the late Dr Sturdy from my family practice for saving my life that day. She made an emergency referral to a local ENT (Ear Nose and Throat) hospital unit for me as well as taking thyroid function blood tests that day. With a diagnosis at last I was ready to start getting better. However my studies had been so damaged by my condition that it was agreed with the college that I could defer my final year of A-Levels and retake them the following year if I was well enough. This was hard as it meant all of my friends would finish a year ahead of me and I would be taking classes with students I did not know but in the grand scheme of things I was lucky to be alive so I accepted the bump in my life plans. After seeing the ENT Consultant at the local hospital and starting a course of carbimazole and beta blockers I began to feel better. I was not keen on the side effects of the beta blockers but as they were a temporary measure to calm my hyperthyroid symptoms whilst the carbimazole took effect I learned to live with them. However after 18 months of treatment it became clear that carbimazole was not enough to get my hyperthyroidism under control. It was at this point, during the summer of my first year at university, that I was given a choice. 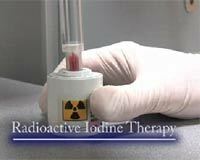 I could either have an operation to remove part of my thyroid gland or I could try Radio Iodine Therapy which would destroy part of my malfunctioning thyroid gland via ingesting the treatment orally. Both treatments came with the risk of the condition flipping to Hypothyroidism which the doctors convinced me was easier to control than Hyperthyroidism. I chose the Radio Iodine Therapy as I didn’t want to go under the knife. It is a little disconcerting when the ENT doctor hands you the Radio Iodine Drink. They hand it to you wearing protective gloves and yet you have to drink down the liquid that they pass to you. The reason for this is that it can adversely affect people with a normal functioning thyroid and because of this you have to keep your distance from those you love for a month following treatment. At first I felt a hundred times better after this treatment but a few months later I realised that all was not right again. I began to feel very tired and forgetful for no reason and developed dry skin and constipation problems. I was also gaining weight rapidly and often felt dizzy and nauseous. I had developed hypothyroidism. Although I diagnosed myself and had it confirmed with blood tests at the University doctors surgery, I did not yet realise that my journey with this disease was far from over. I was put on a high dose of thyroxine to begin with as I had become severely underactive from the treatment for being severely overactive. My TSH level was monitored every 3 to 6 months for 2 years with gradual dose adjustments. No other course of treatment or lifestyle changes were recommended. Check ups were gradually reduced to a annual medication review and blood test. Until 2013 I too assumed this minimal treatment would be enough. But in the run up to my wedding I began to experience severe symptoms again. Particularly noticeable were the bloating after eating, poor concentration, exhaustion and crying for no reason and heavy, long and very painful periods. I told my doctor about the symptoms but I was ignored as my TSH level was within range from a test taken earlier in the year. My doctor even suggested that I was simply depressed. 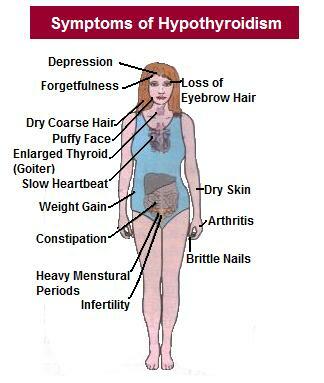 This was not the case as depression is a symptom of under treated hypothyroidism not a problem on its own. It was at this point, desperate to be well on my wedding day, that I began to research in earnest other factors that can affect thyroid function. I discovered the crucial link between vitamin levels and treatment effectiveness and also began to look closer at my diet and what changes I could make to help (such as cooking more food from scratch rather than relying on convenience food). With my husband’s support I went back to my Dr and demanded a full thyroid profile of blood tests as well as tests for my vitamin levels. It was a difficult battle with my local doctor but it paid off. I discovered I was slightly anaemic which meant I needed to supplement my iron levels in order for the thyroxine to work. My vitamin D3 is also lower than necessary. Because of this I now take multivitamins especially during menstruation. These supplements alongside an adjustment to a lower dose of thyroxine seem to have settled me again for now. I do however still have issues with how my body reacts to extremes of temperature (standing up in a hot crowded space is not something I can do for long before I pass out) , I bloat when I eat and I have dry skin conditions. I am currently considering cutting gluten out of my diet to see if it will help with easing the bloating. It is just a thought in my head after reading how it has helped others but I have consciously begun cutting down on my intake anyway. This is the stage I am at with this disease. 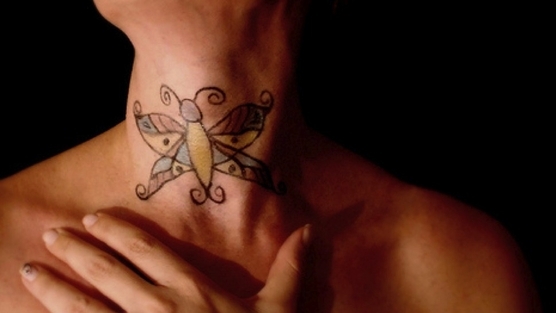 For each person with thyroid problems the journey and treatment is a little different. But what is so frustrating for all of us is the attitude of the medical profession towards the condition and standard treatments for it. No doctor advises you on how your personal body chemistry and genetics effects treatment or what you can expect from the condition. And if you want a test or treatment outside of the standard you will have a fight on your hands. I for one am prepared to go on fighting for better treatment and I hope everyone will sign the Global and UK petitions to that effect. I hope my story will help another lost soul who does not know what is wrong with them or maybe even be read by a dynamic brave medical professional who is not afraid to go against the grain and actually work with their patient to define a better individual treatment plan. I’m well aware that I’ve neglected this blog and the internet in general for the last year or so. Mostly this is because I’ve been consumed by wedding planning fever as well as dealing with an unstable thyroid problem which saps a lot of my energy when not treated correctly. Now the thyroid is under control and my wedding and honeymoon, which were beyond my dreams, are very recently over. I will admit that the previously impossible has also happened and I’ve fallen out of love with The Sims PC game. This is due to EA not fixing or caring to fix numerous bugs in the game and also that the direction they seem to be taking it in is not staying true to what most long time fans want (less celebrity endorsement for a start). However I know things change and maybe Sims 4 will be better? We’ll see. Anyway, my next few posts will be about my wedding because I recently got the official pictures and they are beautiful and I have to share them. It was worth every minute of the planning stess. Love to you all from a new Mrs!